The name of our website says it all – we are Lottery Pros and we know what we’re talking about. As the popularity of international lotteries is growing, so are the opportunities to get tickets online. Which lotteries are worth playing, however? Where should you get your tickets from without worrying about scams? We have the answers to all of your lottery-related questions and we’ll give you the information through this website. If you do a basic online search, you’ll come across dozens of websites that make it possible for international players to buy tickets for their favorite lotteries. Lottery Pros is one of these websites but it’s much different from the other opportunities out there. Apart from giving you the chance to buy your tickets online, LotteryPros also provides tons of useful information. If you’ve never researched the world’s lotteries in the past, this is your one-stop-shop for everything that you require to make a decision. All of our authors have years of experience in the field and they keep your best interest in mind. In essence, you are getting a service and you are getting the information that will help you make your choice. Every single text is impartial, well-researched and created for the purpose of enabling you to make an informed decision. Why LotteryPros? What Makes Us Different from Other Websites Out There? Extensive information: LotteryPros doesn’t focus solely on the world’s most prominent lotteries like EuroMillions and PowerBall. When you browse through the website, you’ll find out that we have reviews for a wide array of other international games. Some of them are smaller, some of them are niche and address the needs of a specific audience. Still, we want to give our readers options and a thorough idea about everything the lottery world has to offer. Written by professionals: we know what we’re talking about – every team member has years of experience in writing and the lottery world. This is why you will get comprehensive, updated information that you can rely on. Services on top of the information: once you’ve gone through the texts and you’ve made up your mind, there’s no need to leave LotteryPros. This is a comprehensive lottery portal that lets you read, buy your tickets and follow the results for the lotteries of interest. If you’re looking for convenience, you’ve come to the right place. 100 percent secure and reliable: LotteryPros has been around for a long time and over the years, we’ve maintained our stellar reputation. Additional tools: on top of all that, you will get additional tools to improve your lottery strategy. Data about hot and cold numbers, jackpot graphs and a lucky number generator are all at your disposal. Do you still have questions that we haven’t managed to answer? 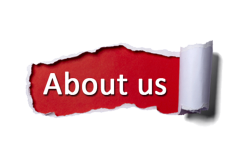 Would you like to find out a bit more about us? You can join Lottery Pros on Facebook for regular updates or you can contact us to find out more! Good luck and we hope you have a great time here!